Musician, sound artist, musicologist, contemporary music and new media art curator and cultural organizer. Co-founder of the annual NEXT // Advanced Music Festival at A4 in Bratislava and editor of KRAA.SK website. Other curatorial and organisational projects or publications include Atrakt Art association and record label, 3/4 magazine, A4 – Space for Contemporary Culture, Multiplace / new media culture festival, server and network. Since 2013, he has been the Head of the Multimedia Studio at the Faculty of Fine Arts (FaVU) of Brno University of Technology. 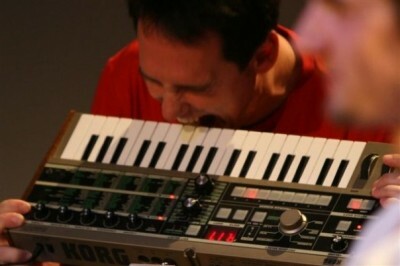 Author of interactive sound installations, performing experimental electronic music solo or in several collaborations. Member and co-founder of various music projects (Martin Vysoky, Touchscreen Orchestra, Voice Over Noise, Shibuya Motors, Musica falsa et ficta, Kapela snů, Feed The Tiger, Bolka/Krekovic and Vritti).